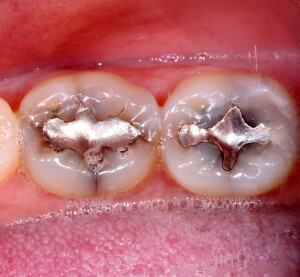 Dental amalgam silver fillings are is still widely used in the US and here in Texas. This is despite the fact that it is 50% mercury and we all know that mercury is extremely toxic, not to mention the fact that many other countries have banned its use. Aside from the fact of the obvious toxicity of the mercury dental fillings, the physical properties of amalgam also make it inferior to our newer filling materials. Most patients do not realize that amalgam does not bond to tooth structure. A hole is drilled in the tooth which is wider than it needs to be at its base so that the amalgam does not fall out. 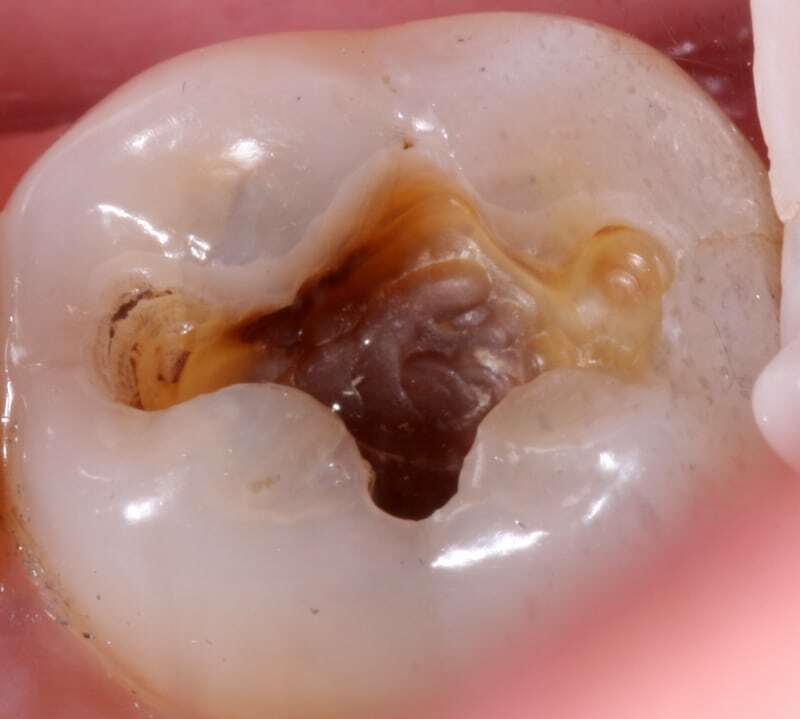 Amalgam proponents will show examples of amalgams lasting 30 years without any obvious issues. While this is true, I would contend that it is not the always the norm. In fact, in my experience it is very common to take an amalgam out at the patients request and find that it has major leakage and or decay under it. This is typically because since there is no bond, the amalgam can cause the tooth to flex on either side of it. This can cause cracks in the tooth that can lead to root canals, crowns and even tooth loss. New materials like white composite fillings and glass ionomers if done well are very durable materials. Since they bond to the tooth structure, only the decayed tooth structure is removed. This allows for smaller and more conservative fillings. The least invasive, or smaller the filling, the lower the chance that the tooth will fracture and need a crown in the future. Amalgam fillings are vigorously defended by dental organizations, some of which I belong to. Myself and many other dentists do not have an explanation of why this is the case. It would seem to defy logic since first silver amalgam fillings are exposing our patients and our water supply to mercury unnecessarily. Secondly we have just established that white tooth colored fillings done with proper technique have superior properties. If you are looking for a mercury free dentist in Victoria, TX please call us at 361-573-7722.